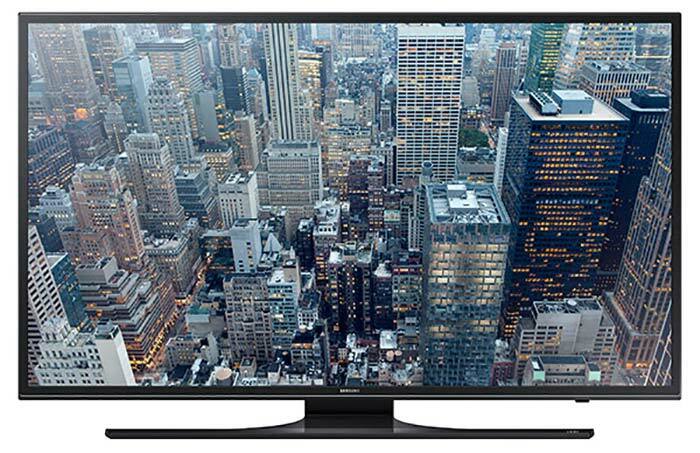 Looking for the best 50-inch television your hard-earned money can buy? You are most definitely in the right place! 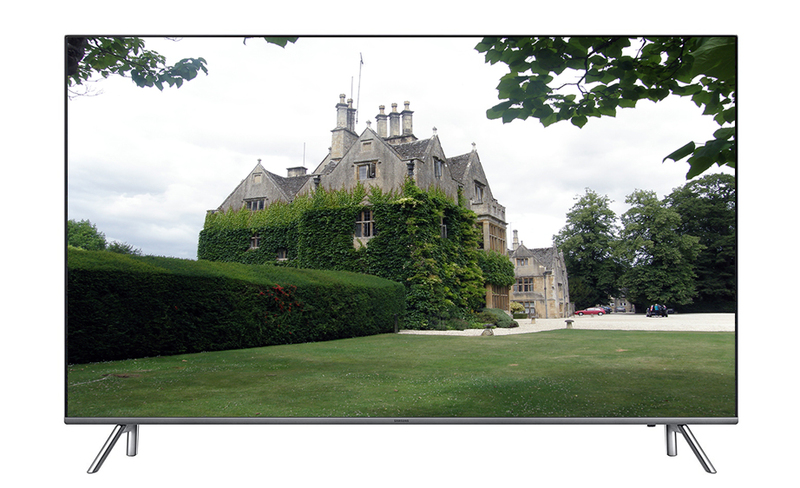 Whether you are looking for high definition, ultra-high definition, flat panel or curved – we have all the information you need. Our reviews of 50-inch televisions will tell you everything you need to know about each TV, including features, options, brands and models. We also tell you about the advantages and disadvantages of each TV, to make sure you have everything you need before buying. To make it even easier for you, we also have recommendations for the best 50-inch televisions. With all the great knowledge and information from our reviews, you’ll be enjoying that new TV in no time. If you are after brighter brights with a striking crispness, Samsung UN50JU7100 is your best bet. It comes with a 4K UHD resolution that will cause you to enjoy pictures and images four times better than on previous models. Samsung UN50JU7100 is a smart TV that turns your home cinemas into a favorite as you enjoy every media content to the fullest. 4K UHD allows you to enjoy every dramatic detail, which may be impossible in other models and you are also able to have full HD resolution. The TV has built-in Wi-Fi and plenty of HDMI inputs (4) and 3 USB inputs. It also has mobile to TV mirroring and a Game Picture Mode for gamers. Smart View 2.0 allows you to view content from mobile devices on-screen. UHD Dimming is a new feature and is a big part of the upgrade to the HU7100 from lower models. It’s a picture processing feature aimed at highlighting the two sides of contrast, brighter whites and lights and darker blacks and darks by using the higher backlight adjustments. 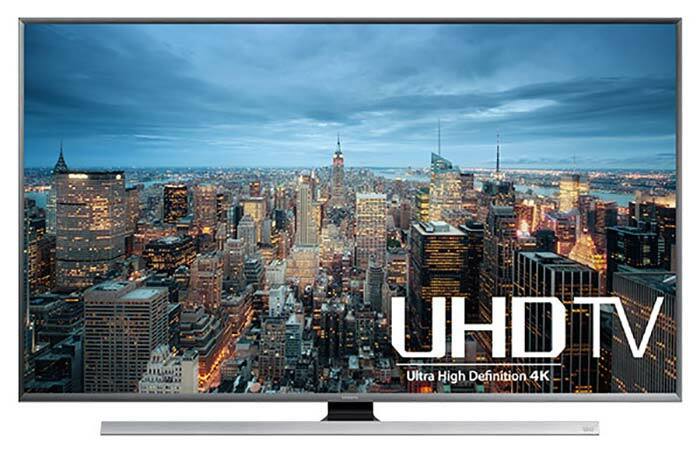 This TV has most of the superior stuff that you may expect from a UHD TV with ultra-clear screen coat, perfect contrast adjustments and DirecTV set for 4K. Although 60Hz processing is limited over larger size screens TVs, but an UHD dimming and color enhancer provides better image quality. This device doesn’t even have a touch pad remote, but many advanced free apps allow you to use your smart phone as a remote. The design looks finer with a charcoal black matte frame of approximately a half inch border around the screen. Motion rate 120 works perfectly with back-light scanning and provides easy access to videos from different sources. Side angle viewing is still a drawback for this TV, but the Samsung smart view mirroring technique adds positivity to its design. For excessive Internet users, it is good to know that this smart TV is Internet ready with a built-in web browser and 802.11ac Wi-Fi, which provides fast access to a wireless network. Your app multitasking is well controlled by the quad core processor, which allows fast access to TV interface. A TV tuner is able to receive HDTV broadcasts over the air, but does require an antenna. Most of the features are dedicated to satisfy the needs of consumers and its comparatively cheaper price adds more attraction to this product. The entry of the Vizio E Series 50” Class Full Array LED Smart TV into the TV industry has attracted some uproar. It comes into the market with a wonderful feature of LED back lighting contrary to the edge-lit TV product that was common in the past. This 50” elegant TV has about 16 zones of active dimming, which greatly enhances contrast compared to what is obtainable in TVs of smaller size. For the first time, App plus is also included as part of the package in the E-series. Vizio E50-C1 has been noted to offer a good picture quality, especially after calibration. It does offer a good depth of image and detail even though color reproduction is on the weak side, but it is not well pronounced. Vizio E50-C1 has very thin bezels compared to previous E-series models. In addition to that, the whole package is very lightweight. This Vizio E Series 50” TV also comes with great speaker that is very loud. It is crystal clear that Vizio E50-C1 TV doesn’t compare with a plasma display in terms of color and picture depth, but as far as picture quality and screen pace is concerned for that price, it is a clear winner. It gives the viewers the needed contrast boost, which also gives the viewers images that are more of a three-dimensional quality. It’s a smart TV with superior picture quality and excellent value. With Vizio 50” LED TV, you can enjoy and experience a simplified and intuitive smart TV with a picture and performance of high quality. You can get epic entertainment of high performance with the redesigned Vizio series with a faster processor. 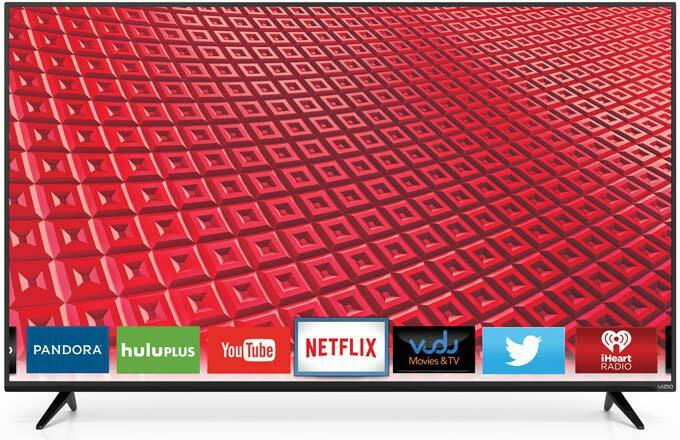 Vizio E50-C1 presents a very strong value and the price tag is excellent. Streaming of content is very fast and the streamed content loads very quickly. With Wi-Fi inbuilt, this is the best in the E series. The built-in Wi-Fi access gives room for HD content streaming. This TV provides some strong choices: Standard, Calibrated, Calibrated Dark, Vivid, Computer and Game. The best choices for optimum performance are calibrated and calibrated dark modes. 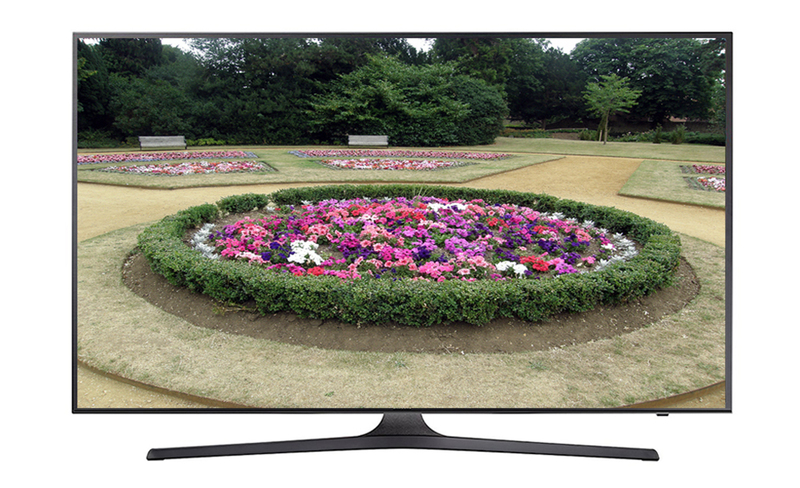 When viewed from angles, the color saturation may be lost, but it is typical of the present generation of KLED TVs. So far in year 2015, this is still one of the best 50” TV we have seen. 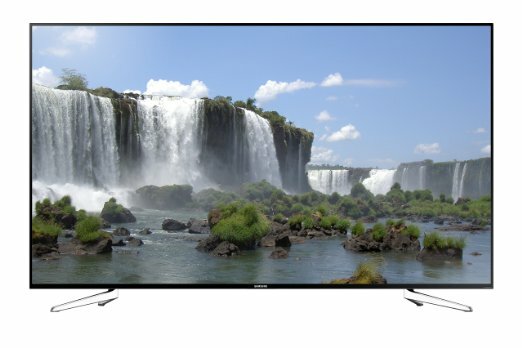 So, if you are looking for wider and larger picture display – Vizio E50-C1 is the best choice for you. The Samsung UN50J6300 is this year’s top pick when it comes to 50-inch Samsung TVs that don’t have 4K resolution. This is a full 1080p HDTV with Smart TV functionality and it’s the best 50 inch TV for the money. One of the nicest features is the ability to remotely access music, photos and video from the computer, phone or other device. It has a clear picture with reduced blur when watching fast action sports. It also has a special Micro-Dimming Pro feature that adds better contrast and the colors are based on the environment where the TV sits. The 1080DP offers a two million pixel resolution, which means you can see every little detail. This Samsung J6300 model offers incredible sound as well. It’s equipped with DTS Premium Sound 51 and two 10 watt speakers. As with other Samsung models in this series, the UN50J6300 offers sleek modern looks. The one thing that’s just a little different here is the base, which allows you to swivel left or right. The Apps – as with other J6300 models the Smart TV apps, are lighter, but very functional and offer a nice interface. This 50-inch model is equipped with a Quad Core processor that speeds up the TV’s functionality and the operating system for the Smart Hub. This offers Netflix, Amazon, YouTube, Facebook, Blockbuster, Hulu and wireless Wi-Fi for streaming video from other devices. This is a nice Samsung curved screen 50-inch model, which is just a step down from the more expensive 4K resolution. The picture is clear and crisp, thus allowing for a very nice picture, and I like the fact that the contrast automatically changes for the environment in which the TV sits.